From death row to front row! Never say die – how one dog beat the odds! Adopting a rescue dog can be a journey into the unknown, but adopting a rescue dog born with severe visual impairment was always going to be a challenge. The questions came thick and fast – would they, could they, should they? 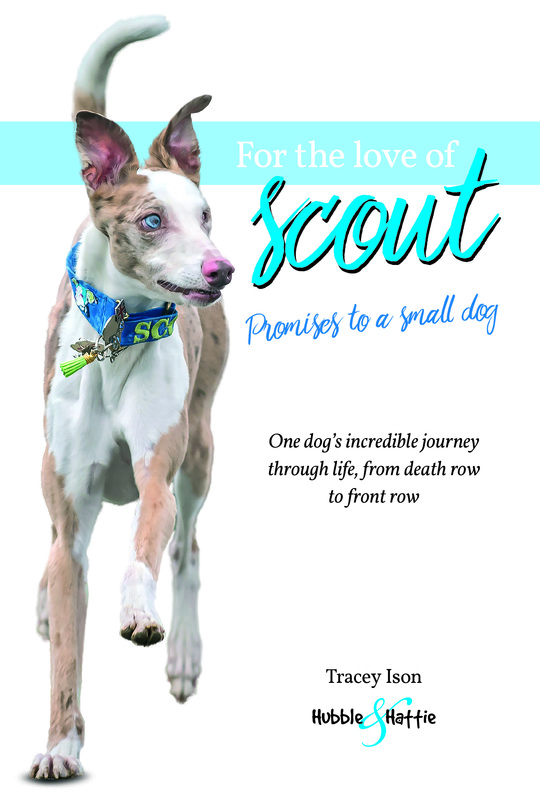 Scout entered the lives of Tracey and Paul and turned them upside down with his own brand of charismatic charm that melted not only their hearts, but the hearts of everyone he met. At first, it was definitely a case of the blind leading the blind, but with his indomitable spirit and a never-ending supply of enthusiasm, Scout was soon leading the way. 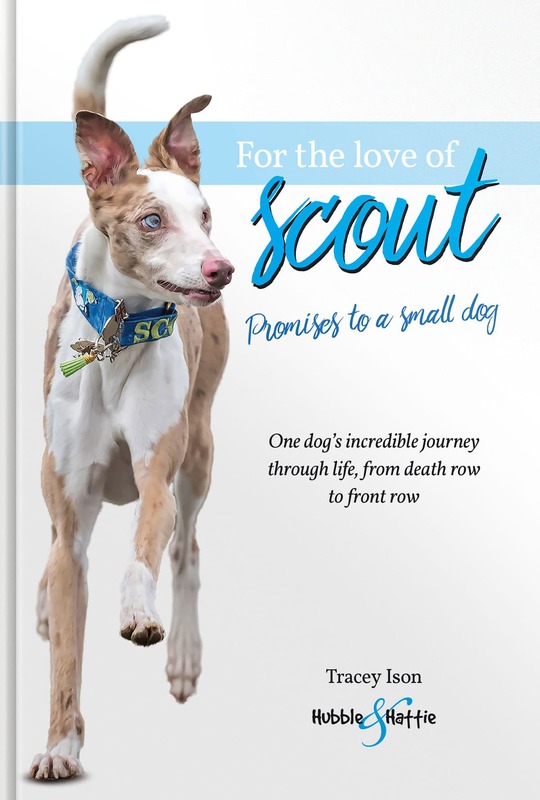 Discover how Scout’s carers learned to build on the unconditional trust and devotion that came from this clumsy, flat-footed, loveable Lurcher. And maybe – just maybe – this book will answer the real question. Who rescued who?